Jane: When I wrote Take Me Cowboy back in 2013, I knew I’d one day want to write stories featuring Jenny’s sisters, but it’s taken me five years to do it! Mandy, the youngest Wright sister, is the heroine in Take a Chance on Me, and she’s been mentioned in other Marietta stories. Mandy (or Amanda) is a hair stylist and smart and ambitious and it took me awhile to figure out her story, and then I thought, I’d love to give her a story that Tule Publishing could also pitch to Hallmark, which isn’t easy with my stories since I tend to write dramas, not Rom Coms. 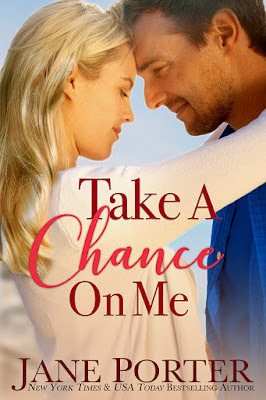 My romances have lots of emotion, and tension, but this time I wanted to something a little lighter, and so I had two goals when writing Take a Chance on Me: to give Mandy Wright a happy ever after, and to do it with a lightness and sweetness that could appeal to the Hallmark audience. I think I mostly succeeded, but of course, toward the end of the story, there is the usual JP emotion! Rad-Reader: Tell us about Amanda and Tyler’s background. Something the blurb/synopsis doesn’t. Jane: Amanda was not born with a silver spoon in her mouth—her family has struggled financially—and the Wrights don’t have the best reputation in Marietta so Amanda’s success is all the more meaningful. Tyler’s dad may have been born and raised in Marietta, but Tyler is all Californian. He does not identify with Montana in any way. Rad-Reader: Had Tyler never been to Marietta before? It almost seemed like he never been there by the way he was talking to Amanda while getting his haircut. Jane: No, he hadn’t. His father had never taken him back to Marietta. All visits with his grandmother, were in California when Bette would come to visit them there. Rad-Reader: Tyler came there to check on Mandy because he felt she may be a liar and a cheat taking advantage of his grandmother. Yet, isn’t he the only one lying so far? Jane: He is, but I don’t think he’s aware of that. I think he’s so focused on protecting his grandmother that he doesn’t really think about his own subterfuge. Rad-Reader: If he has been so worried why hasn’t he been out to visit before and why doesn’t he already know Mandy since her and his grandma are such good friends? Jane: I think Tyler is typical of many driven men—he sees the big picture but is missing out on the details. I don’t think men take in all the things we women say, and the fabric of our friendships aren’t as important so those things can easily be missed. Rad-Reader: After Coby died his father was doing a lot of extreme sports. Did he do them before too? Or just after? Jane: He’d always done extreme sports. Both of his sons did, too. They were an athletic family. Rad-Reader: Tyler found out his grandmother lent out some money. How did he not know about the payment plan and the payoff? Jane: Tyler has only recently been brought into the financial side of his grandmother’s life, and it was at her invitation, but he’s not pouring over her numbers and accounts. He’s busy with his work and he’s probably distracted between his work with Justice Games and what’s happening with his very active, bubbly grandmother in Montana. Rad-Reader: It sounded like Tyler never really has bothered to really come and spend any real quality time with his grandmother. So, how would he know about her life? Jane: They have phone calls, and she writes him letters and he would fly her out for visits, but Tyler has resisted visiting Montana probably because his father distanced himself from his roots in Montana. It’s actually a problem as we discover in this story! Rad-Reader: Tyler never even asked Mandy about her bad credit. Or how she got it to that point. Why? Jane: It’s a pretty personal thing, isn’t it? It’s not easy to discuss someone’s financial state...and we all have different perspectives on financial stability. Rad-Reader: What was Mandy’s strategy behind the pink for the business that just bugged Tyler to no end? Jane: Mandy has an impulsive streak! She is also a little bit of a rebel. The moment Tyler started questioning her choice of colors for her salon, she began to get her back up. But the choice of pink for her salon was based on two things: her knowledge from psychology that pink is a soothing, calming color, and it tends to make people feel food, and then the fact that it’s feminine and Amanda embraces all things feminine. She’s proud of who she is, and what she’s accomplished as a woman. Rad-Reader: Tyler couldn’t seem to relax why is that? Who was he trying to prove himself too? Jane: Because Tyler grew up with a father who had cut himself off from his past (primarily his father and hometown), and then he lost his brother, he isn’t truly settled. He doesn’t have a lot of inner peace, and he’s used his love of games to distract himself from this emptiness and restlessness. I don’t think he’s reached the self-awareness stage to know why he can’t relax. Is it because he’s creative? Is it because there was tremendous tension between his father and grandfather? Is it the loss of his father and brother? I don’t think Tyler really knows, which is maybe why Mandy’s calm, stability and deep roots in Marietta affect him so profoundly. Rad-Reader: What did Charity and Jenny go to college to get a degree for? Jane: Jenny didn’t go to college. She went to work after high school in Chicago and did clerical courses, which is why she wanted her younger sisters, Mandy and Charity to go to college. 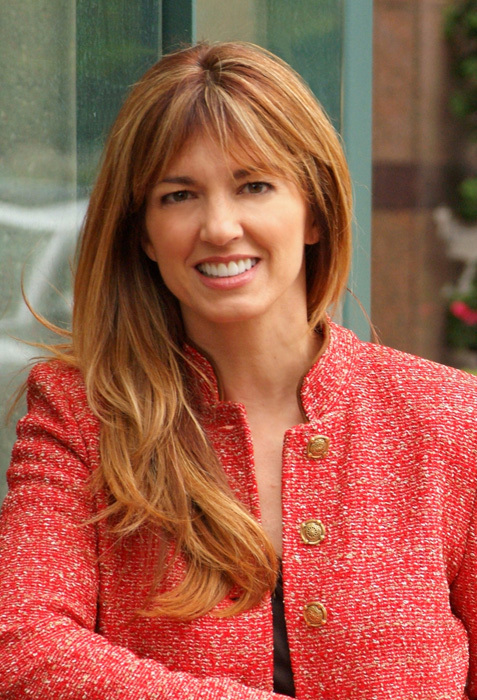 Amanda studied Psychology—which as you know has really helped her with her clients--and Charity studied Communications. Rad-Reader: When Bette Reveals her secret that caused such discord for Tyler and Mandy. What was her purpose for doing it in the first place? Without revealing the secret. Jane: I think she either had a guilty conscience or, perhaps she believed everyone would be pleased? I’m not sure why she chose that moment and the way she did it. Perhaps she didn’t know how to handle it and figured the truth needed to come out, and since Tyler and Amanda are so close now, it shouldn’t be a problem??? Rad-Reader: Mandy took the whole poverty, pulling themselves up together only pretty seriously. More so than Charity. Why is that? Did something happen to her we don’t know about? Jane: Yes, things have happened to Charity that we don’t know about. Charity has some secrets in her past, secrets that will be revealed in her Christmas story coming out December 4th, Not Christmas without You. Rad-Reader: Why did Jenny not come back home why did she chose to go and marry someone that is from Colorado? Jane: Jenny left home after high school and went to work in Chicago where she became a very valuable personal assistant to a wealthy executive. They eventually fell in love, and the wedding was to be in Marietta, but when Charles and Jenny arrive in Montana for the wedding, everything falls apart, and Charles leaves Jenny virtually at the altar. Jenny is rescued from a street corner, in her wedding dress, by her childhood crush, Colton Thorpe, a national bullriding champ. Even though both Colton and Jenny are from Marietta, they both want a new life together, and choose to settle down on property Colton buys in Colorado. Rad-Reader: Is there someone is Charity’s future that will be coming forward soon that we don’t know about, or do we? Jane: Yes! I’ve just started writing Charity’s story and I am so excited about it. It’s going to be a wonderful Christmas romance! Rad-Reader: Bette seemed so crushed when Mandy wouldn’t talk to her. But does she understand why she felt that way? Does Tyler? Jane: Both Bette and Tyler understand, but Tyler hates seeing his grandmother so hurt. He wants to smooth things out, but Amanda needs some time. Rad-Reader: How many books are in this series? Jane: Ooh, you picked some good ones! Bette: I’d have to go with Judi Dench, too! Okay, sticky, she would watch her hubby kissing the other woman who will play her sister. Yikes! LOL!!! When he goes to investigate Mandy, he finds someone totally different. Someone who wakes up his senses. When Mandy meets Tyler and is confused because she knows he doesn’t trust her friendship with his grandmother. Yet, he shows his lust he feels for her. When Tyler leaves early to go back to Texas because he’s confused about just meeting Mandy. Yet, feelings have formed in just a few days making him run scared. She was so surprised when she like this man after his disdain. She had not only liked the man, imagine. She, like everyone in her hometown who had lumped her into the Wright Girls from the other side of the tracks they have to be bad, had distrusted Tyler too. Wasn’t willing to give him a chance. But she was falling for him he was making it past her well-constructed walls to make it up to her heart. when I was writing this book and I think a lot of the songs captured the emotions of this story. Rad-Reader: Where is your favorite place to meet your friends for lunch? Jane: I love Nick’s and South of Nick’s in San Clemente....great ambiance, great salads, great dessert! Rad-Reader: What is your favorite style of clothing and why? 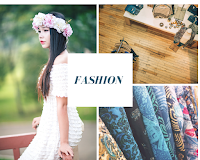 Jane: I love jeans and kaftans and fun, colorful smocks and bohemian tops. I also love gorgeous earrings, whether beaded shimmering chandelier style or large hoops. I used to love boots—but have become a comfort clog person due to health stuff. I so miss my cool shoe days!! Rad-Reader: What items you need to make your writing work for you? Rad-Reader: Would you be the one to jump out of the plane or the one to meet them all at the rendezvous? Rad-Reader: Your favorite genre to write other than your current writing? Thanks so much for coming together with Lee to get this done so quickly. With you just coming back into the country and having your computer back up and running after a crash cannot be fun this I know from first-hand experience. It all worked out well. So, thank you. This was such a fun book to read. Mandy is one strong woman character that still knows how to be a woman at the same time. All to poor Tyler's weak heart he just could not hold out any longer he was a goner. You are now a 1 Rad-Reader Misfit and hope you will come back and use our Shout-Out page to let us know when you have a new book coming out. SORRY, THIS HAS HAD TO GO ON EARLY BUT MY DAUGHTER IS IN ANOTHER PLAY TONIGHT AND WELL OPENING NIGHT. IT IS OUT IN THE STICKS SO NOT SURE OF THE SERVICE. SO, WE WANT TO MAKE SURE THIS GETS OUT TO EVERYONE. Jane, I love what a complete universe you've created for these characters, and what rich backstories each has! Do you find the inspirations for the stories or characters before you start the writing, or do you find the visuals to support what you've envisioned after you've begun creating them with words? Thanks for a terrific interview, Jane and 1Rad-Reader59! Great interview! I love reading the behind the scenes stuff, the details that live in your head that don't really get into the books. Great interview. Can't wait to read this series! This was a great interview, loved getting to know the characters more. Looking forward to the next book in the series! Wonderful interview! Always love learning more, Jane. really good interview. loving the series and finding out the behind the scenes aspect. Loved the book, and Julianne Hough and Jensen Ackles playing the leads is perfect! Loved the book along with the people you chose to "play" them. Thanks so much for sharing about yourself. I really enjoyed this interview. I love the book and the series. And, I always love the behind the scenes stuff. Thanks for sharing the scoop on Mandy & Tyler! Authors thought processes amaze me! I enjoyed this interview. It was fun to get the behind the scenes info. It's fun to learn the stories behind the books! Thanks for sharing! So glad you were able to give us more opportunity to get to know the characters better. I feel like they are friends of mine. So happy to see how they are developed by you. Looking forward to reading this series! Thanks a bunch for your kindness with all your giveaways! This is a really fun interview! I loved hearing Jane's take on everything and especially enjoyed the songs that you talked about and learning what she listens to when writing. Very cool!!! I loved the interview. It looks like we have a lot to look forward to �� I love all of your books Jane. Great interview!!! Sound like a great start to a wonderful series!! Added it to my TBR list!! Thanks!! !